We are a homegrown company crafting the cleanest, delicious, nutritious snacks on the planet. A premium, delicious guilt-free delight combining delicious fruits and unique herbal blends. 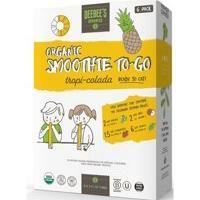 DeeBee's Organics want every foodie of every lifestyle to be able to savor our family's favorite snacks.